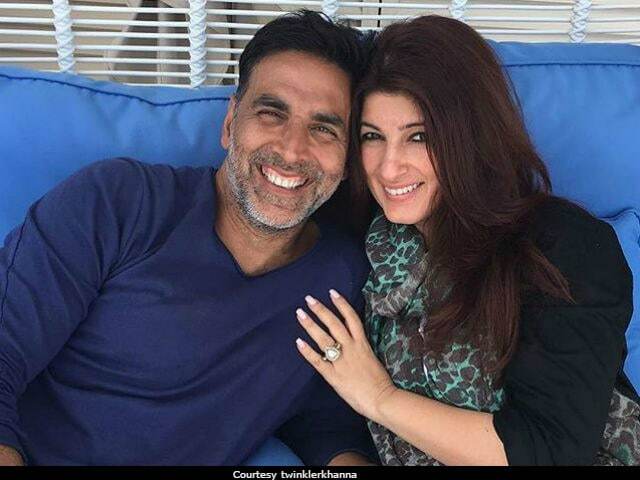 Twinkle Khanna, daughter of actors Rajesh Khanna and Dimple Kapadia, is the author of Mrs Funnybones and The Legend Of Lakshmi Prasad. She has featured in films like Barsaat, Zulmi, Baadshah and Joru Ka Ghulam. She quit acting after 2001 film Love Ke Liye Kuch Bhi Karega. Twinkle Khanna is currently producing Padman, which is being directed by R Balki and stars Akshay Kumar, Sonam Kapoor and Radhika Apte in lead roles. Akshay Kumar recently received the National Award for Best Actor for his performance in 2016 movie Rustom. He is currently busy promoting his film Toilet: Ek Prem Katha, co-starring Bhumi Pednekar. The film, directed by Shree Narayan Singh, is scheduled to release in theatres on August 11. His other upcoming projects are - 2.0, directed by S Shankar and Padman.